Set of 4. 1982 Gibson Volume and Tone Control Knobs, black with reflector tops, no cracks or breaks, Text is still clearly visable and legible. Exceptional condition overall. 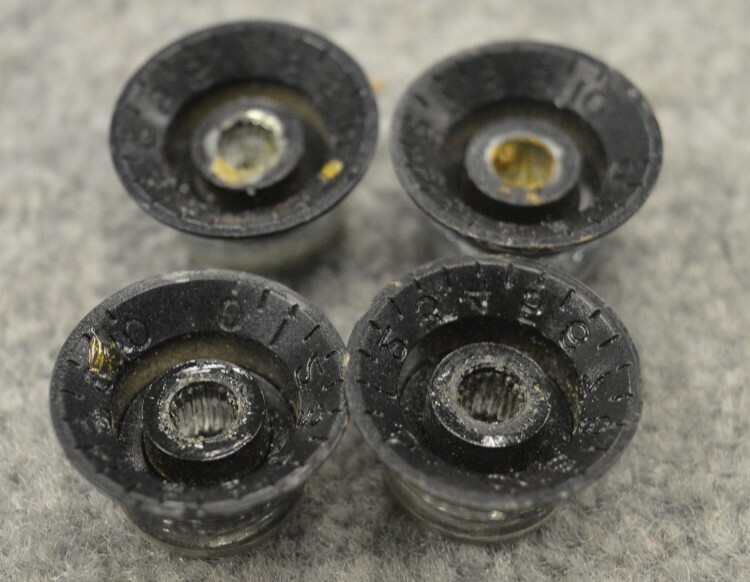 Interested In This 1982 Gibson Volume and Tone Control Knobs? 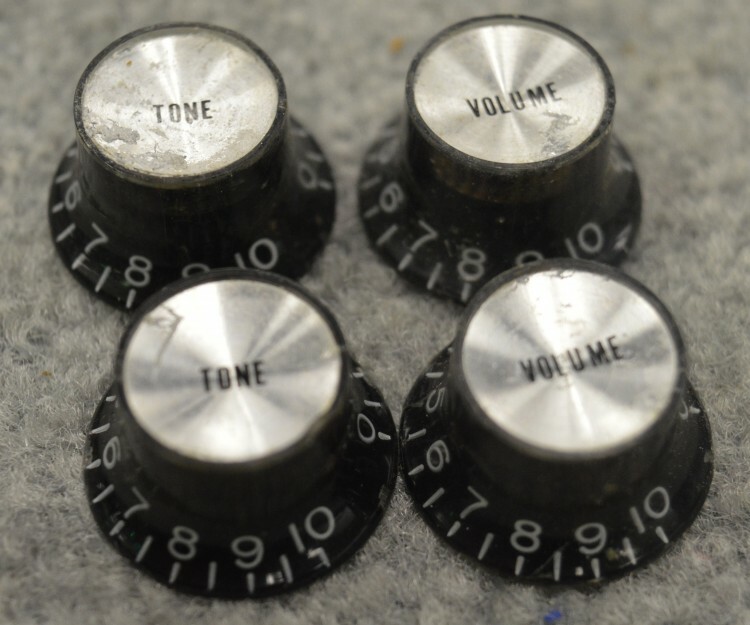 Did you purchase the 1982 Gibson Volume and Tone Control Knobs? Feel free to submit a review. Reviews will be posted pending submission review and approval.